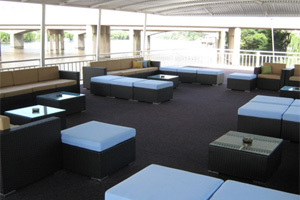 Unique Vaal Triangle Accommodation – If you are looking for places to stay in the Vaal Triangle for a leisure getaway or weekend break with your family and / or friends, Liquid Lounge has the perfect option for you. Stay over in a luxurious and fully furnished houseboat, moored on the majestic Vaal River – you won’t get any closer than this! Take a look at the Vaal Triangle accommodation options offered by Liquid Lounge below, or contact us to get all the information your require. 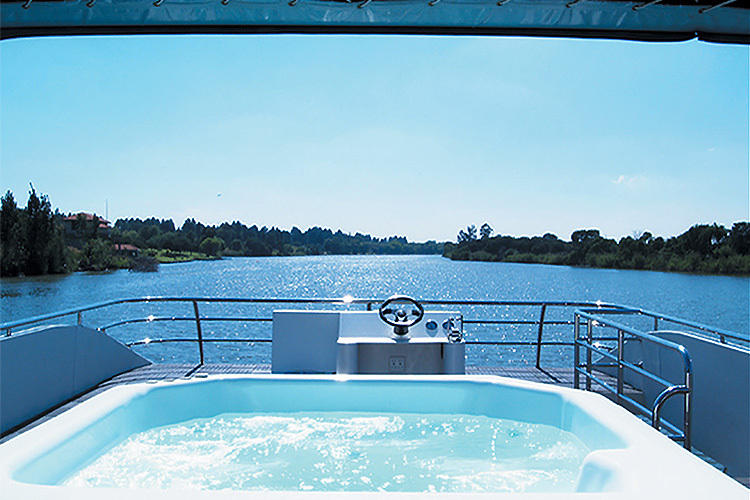 We trust the you will truly enjoy a memorable stay aboard one of our unique and luxurious houseboats – the best accommodation in the Vaal! 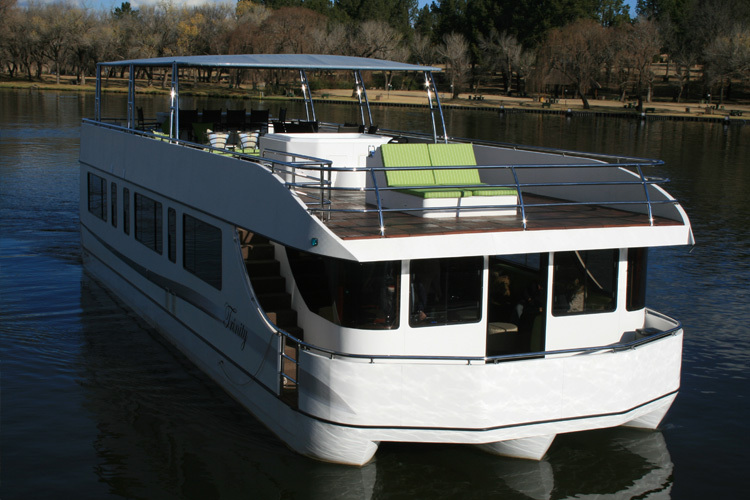 Liquid Living (Trinity houseboat) is a luxurious houseboat that can accommodate up to 10 guests, and is ideal for a leisure getaway on the Vaal River. 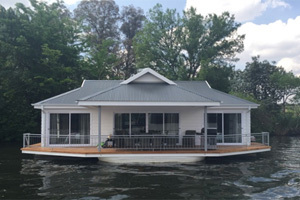 The houseboat features four luxury double cabins en-suite with a shower, basin and toilet. This is the perfect Vaal Triangle accommodation option for smaller groups of family and friends, offering a tranquil stay, coupled with a relaxing cruise, complete with a crew (skipper, chef and cleaner) as per your booking requirements. You can choose between fully catered and self-catering accommodation options. The self-catering accommodation option will allow the guests to prepare their own meals in the fully equipped kitchen as well as use of the braai facilities. Fully catered accommodation includes the services of an experienced chef, who will prepare all your meals. This luxurious houseboat features a lazy-boy lounge suite, large plasma television, DSTV, DVD collection and sound system. Guests can also relax in the cold water Jacuzzi. 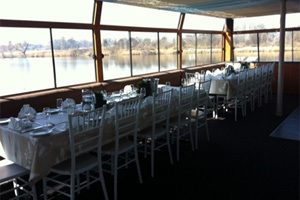 Enquire about the Liquid Living houseboat today to book your accommodation in the Vaal Triangle. The Prive’ and Fluxman Houseboats are a smaller luxurious houseboats, permanently moored on the banks of the Vaal River (they do not cruise). These exclusive houseboats offer an amazing Vaal River experience and spectacular views, and are suitable for families of four. 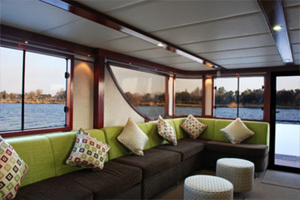 The Prive’ and Fluxman houseboats feature two cabins, an open plan kitchen, a large deck, braai facilities and DSTV. Guests can enjoy some fun activities at the Emerald Resort and Casino where the houseboats are moored, or simply relax in the beauty of the natural surrounds. Book your unique and relaxing Vaal River Getaway – book your Vaal Triangle accommodation with Liquid Lounge today to avoid disappointment! Book your Vaal Triangle accommodation today! 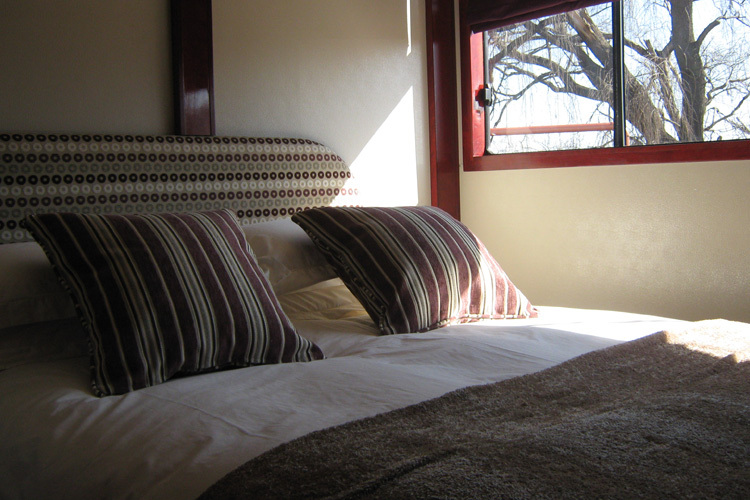 When it comes to accommodation on the Vaal River, you won’t get any better than our luxurious and modern houseboats. For more information about our houseboats and Vaal Triangle accommodation options available, contact Liquid Lounge today. We know that you will have a lovely and memorable experience with us!